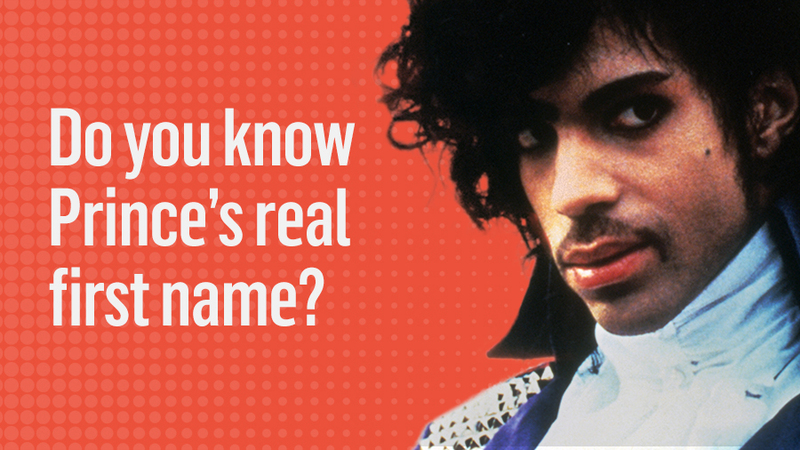 Do you know Prince’s real first name? Prince! His father used the stage name Prince Rogers, and named his son Prince Rogers Nelson. 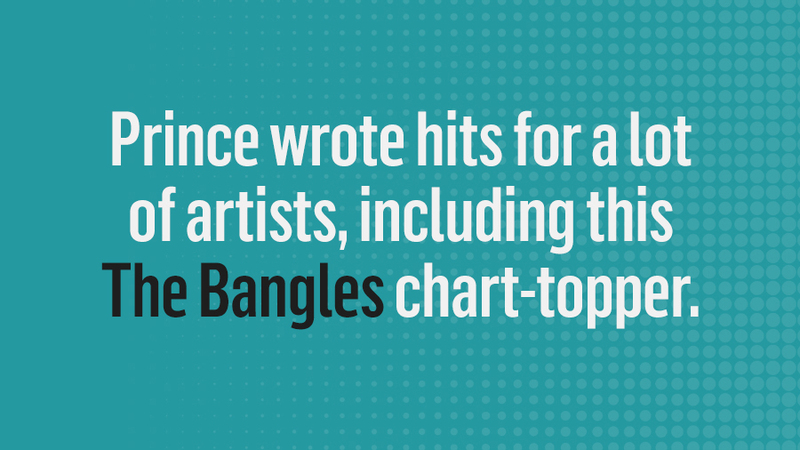 Prince wrote hits for a lot of artists, including this The Bangles chart-topper. Manic Monday! This was one of many hits Prince wrote for other artist. Others include Nothing Compares 2 U for Sinead O'Connor and How Come You Don’t Call Me Anymore for Alicia Keys. Purple Rain won Prince an Oscar. 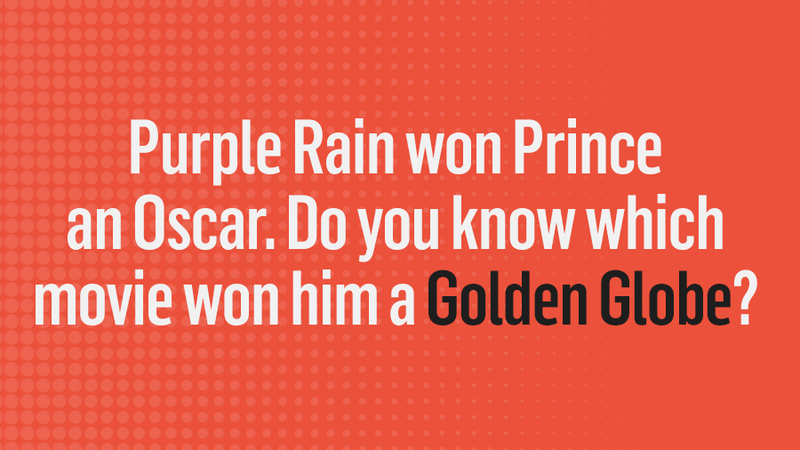 Do you know which movie won him a Golden Globe? Happy Feet! Prince wrote the original song The Song Of The Heart. He did get a Golden Globe nomination for When Doves Cry for Purple Rain, but lost out to Stevie Wonder's I Just Called To Say I Loved You. 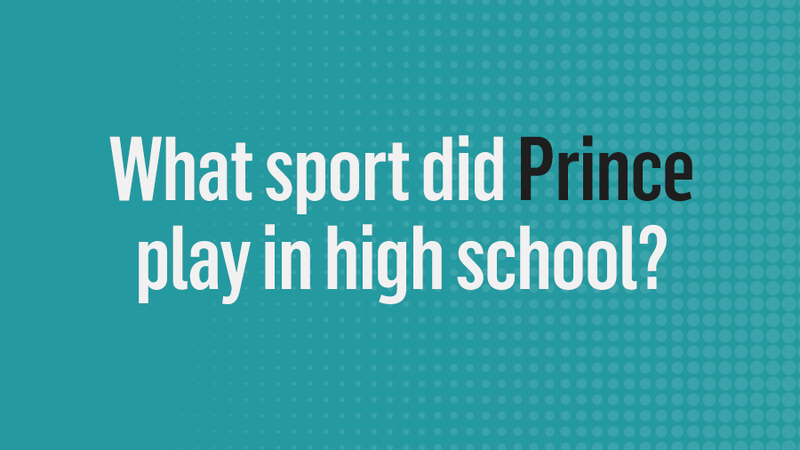 What sport did Prince play in high school? Prince played all of them! He was quite the athlete in high school, which was made even more impressive considering he was only 5'2". 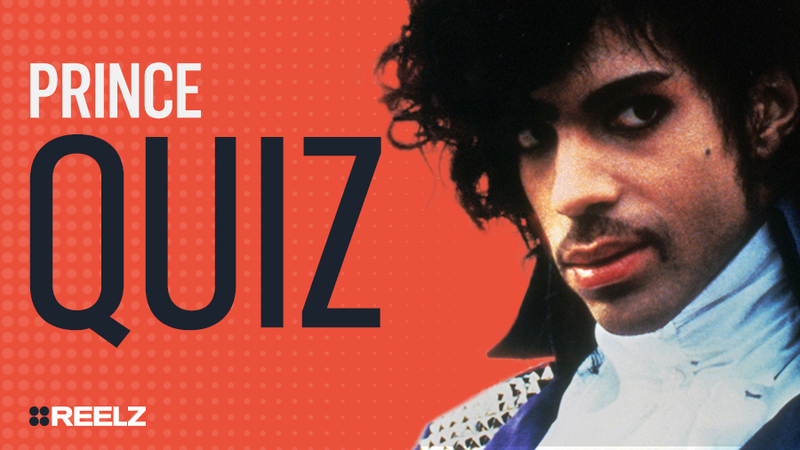 Do you know Prince’s biggest hit? When Doves Cry! 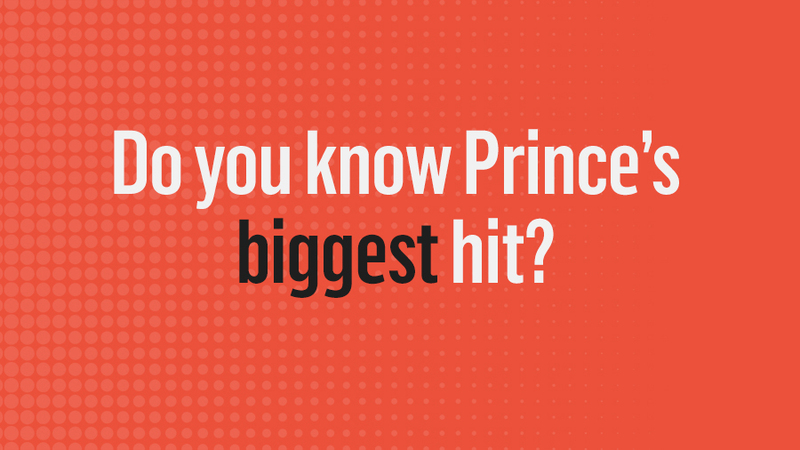 It was Prince's first #1 hit and it went on to be his biggest hit of his career.